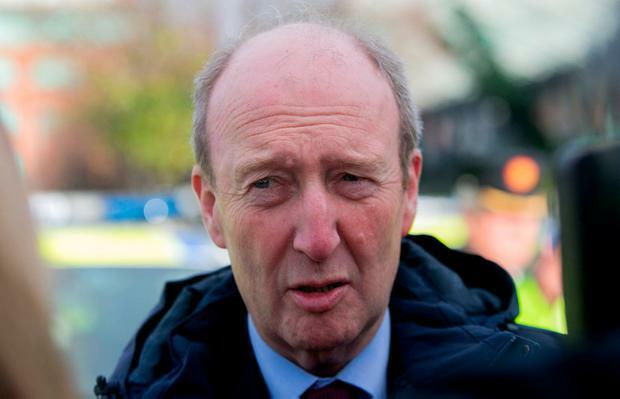 Transport Minister Shane Ross has said the alliance will continue over the coming year to push for older people on fixed incomes to be excluded from paying the tax on their properties. It comes after a working group review - the recommendations of which have been put on the long finger by the Government - found that exempting people over 66 would cost €75m a year based on last year's collection. Mr Ross told the Irish Independent the Alliance is "determined homeowners on fixed incomes should not be penalised with unaffordable property taxes if prices continue to outstrip their pensions". The Independent Alliance has also called for an exemption for people on low incomes and people with a disability as part of its proposals to reform the scheme. Mr Ross's comments come after Finance Minister Paschal Donohoe outlined his opposition to such an exemption to a Sunday newspaper. A source in the Independent Alliance said it was "surprising" that the minister had made a public intervention - but it is not expected to cause a major rift between the coalition partners, who now have at least a year to tease through the LPT reforms after a Government decision to delay a decision on overhauling the system. Amid accusations of "weak" governing from the Opposition, the Government opted to send the review to a Dáil committee and postponed a decision on changes to the regime until next year. Fianna Fáil accused the Government of an election ploy ahead of the local elections by kicking the decision down the road. However, the Government has insisted that sending the review to a Dáil committee will build "political consensus". Homes were due to be re-evaluated in November, sparking fears that homeowners would be hit with a massive hike in their bills due to the rise in property values since 2013, when the homes were last valued for the purpose of the tax. Fianna Fáil, meanwhile, has raised fears that pensioners who were previously entitled to defer payment of the tax will now be forced to pay it due to the increase in the State pension introduced in last year's Budget. The minister's office has said he is likely to raise the thresholds for a deferral so that a single person can earn €18,000 and a couple can earn €30,000, as recommended by the report. This change would recapture those pushed beyond the current limits of €15,000 and €25,000 by the increase in their weekly pension.